The Server Provisioning team builds services and tools that process and deliver the computing resources that Amazon's software teams need to build and grow their services. As an infrastructure services provider, we own the services and tools that Amazon uses to turn hardware into capacity that service teams across Amazon run their business on. What we do matters; every customer who uses Amazon's products is supported by the computing infrastructure we provide and we provide a way for customers to get the capacity they need and for the business team to responsibly manage growth and cost. Our products are used by internal software teams, we focus on minimizing the operational burden that other engineers, like yourself, experience when managing their infrastructure. Amazon and Amazon Web Services are growing at an incredible rate, inventing new technology to improve the life of our customers. At this scale we are constantly stretching the elasticity of the the cloud. Our mission to help make it easy for internal software teams to grow while working with other infrastructure and AWS teams to meet these needs. You will work to deliver this end to end workflow and collaborate with your customers - including other developers, business partners, and finance teams. You will work with other engineers who have a passion for learning new technology and making your customer's lives better. We want your passion for making a end-to-end web stack. While we are doing a lot of automation here, you will be asked to solve problems at every layer of the stack. You will share your experiences to an organization that is eager to learn. There is a lot to work on, you will be building everything from internal customer facing web services to user facing applications. · Building web services and websites in Ruby built on top of Amazon Web Services. Our full stack currently leverages DynamoDB, RDS, EC2, Lambda, CloudFormation, SQS, and S3. · Building tools that analyze large amounts of data (i.e. utilization data, AWS usage, and billing data), crunch numbers and display visualizations that provide users with insight into this rich data. 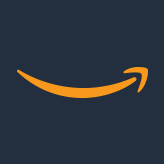 · Build software to analyze hardware inventory, usage, and financial cost models tomake data-driven recommendations to Amazon's business owners that significantly reduce their costs. · We are responsible end-to-end for all products we design and launch. Every developer at Amazon uses our software. · Proficiency in, at least, one modern programming language such as Ruby, C, C++, Java, or Perl on Unix Platforms. · Experience mentoring and developing junior engineers. · Experience building high-performance, highly-available and scalable distributed systems. · Strong UX design skills. · Familiarity with AWS solutions such as EC2, DynamoDB, S3, and Redshift.